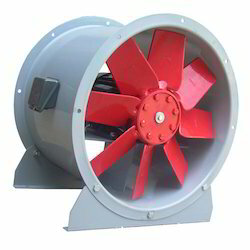 The Centrifugal Blower is one of the most widely used fans. Centrifugal fans are by far the most prevalent type of fan used in the HVAC industry today. They are usually cheaper than axial fans and simpler in construction. 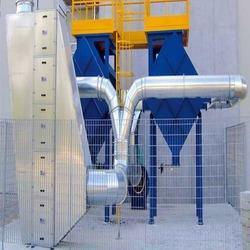 It is used in transporting gas or materials and in ventilation system for buildings. They are also used commonly in central heating / cooling systems.They are also well-suited for industrial processes and air pollution control systems. The offered fans are designed according to the international standards and are installed in hospitals, chemical industry, fertilizer plants and food processing industry for removal of impure air from surroundings. 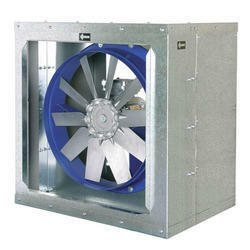 These fans are robust in terms of construction and durable as well. With the excellent support of our brilliant professionals, we are engaged in presenting Pollution Control Device. 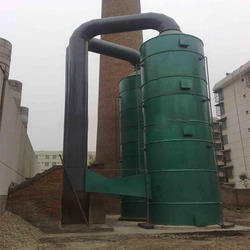 Some of pollution control devices are dust collector system, scrubber system, VOC obsorber and oil mist collector etc. 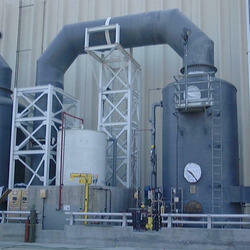 We have above 25 years knowledge & experience to design pollution control system as per pollution control standards. • Rubber industries "We are Looking Buyers & Inquiries From South India Only"
• Quality checked by the professionals "We are Looking Buyers & Inquiries From South India Only"
We are the leading manufacturer of centrifugal fans, engaged in manufacturing a wide range of Centrifugal Fans that is recommended for the ID fans, FD fans. 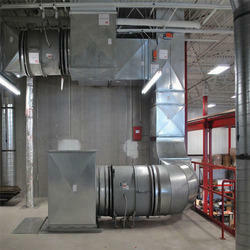 We have full fludged industrial set up to manufacture centrifugal fan up to 500 hp. Centrifugal fans are mainly three types depends upon impeller balde direction. forward curve, back ward curve and straight inclined type. This fans are used in dust collectors, scrubbers, boilers, ventilation system, fume exhaust system, roof exhaust system and kitchen exhaust system etc. 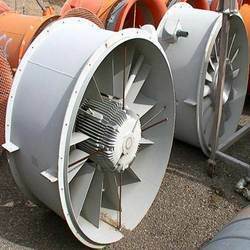 "We are Looking Buyers & Inquiries From South India Only"
We are the leading manufacturer of Axial Fans, which is suitable for low pressure and high volume application. These fans are mainly used for ventilation systems, fume exhaust systems, kitchen exhaust systems, roof exhaust systems and fresh air systems etc. 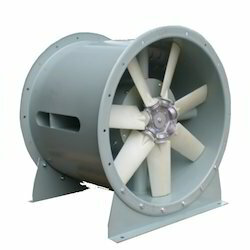 Our customers widely acclaim these axial fans for their features like high efficiency, robust construction, low noise level, low weight, high strength and less maintenance. Moreover, the offered axial fans are made as per the International standards and can be purchased at market leading prices. 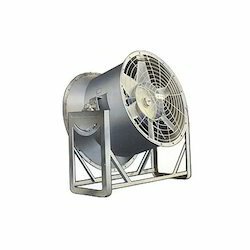 We are well established manufacturers and suppliers of a wide range of Industrial Axial Fan. These axial flow fans are provided with a wheel inside a cylindrical housing, with close clearance between blade and housing to improve air flow efficiency. These wheel turn faster than propeller fans enabling operation under pressures up to 200 mm wg. Further, the efficiency of axial fan is up to 65-70%.Our range of tube-axial fans also has axial fans up to 20 hp. The offered fans are installed in various industries including educational, chemical, food processing and fertilizer for circulating fresh air in the surroundings and keeping dust & moisture away. 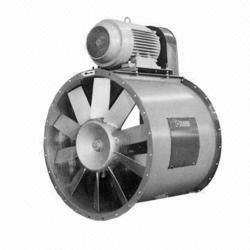 We are well established manufacturers and suppliers of a wide range of Axial Fan. 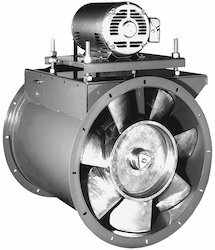 These axial flow fans are provided with a wheel inside a cylindrical housing, with close clearance between blade and housing to improve air flow efficiency. These wheel turn faster than propeller fans enabling operation under pressures up to 100 mm wg. Further, the efficiency of axial fan is up to 65-70%.Our range of tube-axial fans also has axial fans up to 100 hp. The offered fans are installed in various industries including educational, chemical, food processing and fertilizer for circulating fresh air in the surroundings and keeping dust & moisture away. 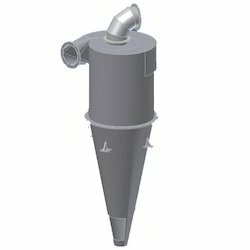 "We are Looking Buyers & Inquiries From South India Only"
unit dust collectors are also a typical dust collector system but the size of dust collector is compact and small capacity. 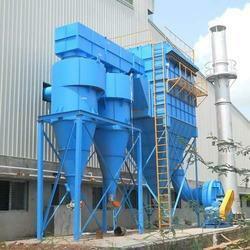 These dust collectors are able to use small systems like grinding machines, buffing m/cs, small dust collection areas. pls feel free to contact us for your requirements. 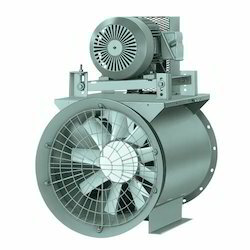 We are one of the well known manufacturers and exporters of a wide range of Belt Driven Axial Fans that is a Belt Driven Axial Fan. 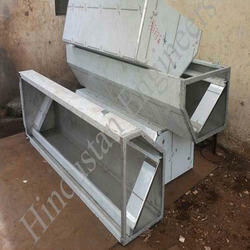 We are acclaimed name instrumental in the manufacturing and supplying of superior quality Industrial Cyclone Separators. 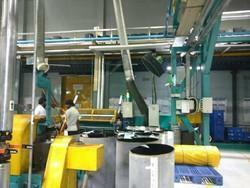 Our offered products due to its efficiency and strength have found its profound use in various industries. These devices are used to separate particulates from air by the action of creating cyclone in cylindrical vessel. We utilize finest quality cast iron and machines for its fabrication. We provide this product this product in different sizes and designs. Bifurcated Fans are direct driven axial fans where the motor is encased in a metal box to isolate it from the airflow. This makes bifurcated fans ideal for exhausting or recirculating fumes, gases and hot air up to temperatures of 200°C in standard form or 300°C for our high temperature bifurcated range. The motor must have access to ambient air. The fans have non-overloading characteristics. 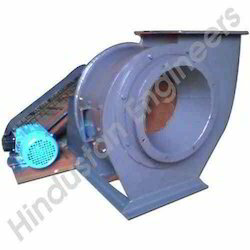 Hindustan Engineersmanufacture two types of bifurcated fan, spun bifurcated and fabricated bifurcated. The type of bifurcated fan refers to the process used in it's manufacture, this does not affect the fan design or performance but determines the sizes available and the materials from which the fan can be manufactured. 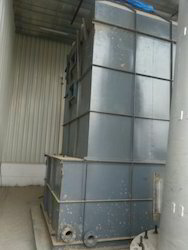 • Evaporative cooling towers "We are Looking Buyers & Inquiries From South India Only"
• Rolling mills "We are Looking Buyers & Inquiries From South India Only"
We are offering Fresh Air Ventilation System to our clients, which is designed on the basis of air washer systems. 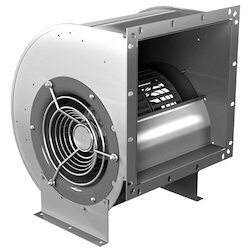 Our range also has an integrated closed enclosure and filtration facility that can be availed as per client requirement.Turbo Ventilators are unique Aluminium Ventilation Systems. These are power saving exhaust systems, which are mounted on industrial roof tops for round the year effective ventilation and that too at no operating cost!. These find use in Factory Sheds, Production Utility Areas such as Generator Rooms, Boiler Rooms. 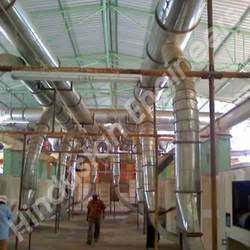 • Hot-zone manufacturing units "We are Looking Buyers & Inquiries From South India Only"
Manufacturers and Suppliers of Ventilation System for Industries which can be customized as per the requirement of client. 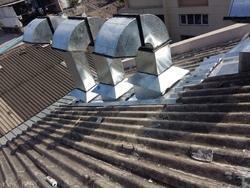 Ventilating is the process of "changing" or replacing air in any space to provide high indoor air quality (i.e. to control temperature, replenish oxygen, or remove moisture, odors, smoke, heat, dust, airborne bacteria, and carbon dioxide). Ventilation is used to remove unpleasant smells and excessive moisture, introduce outside air, to keep interior building air circulating, and to prevent stagnation of the interior air. Ventilation includes both the exchange of air to the outside as well as circulation of air within the building. It is one of the most important factors for maintaining acceptable indoor air quality in buildings. 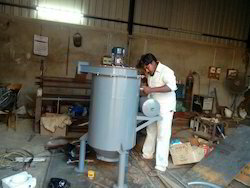 "We are Looking Buyers & Inquiries From South India Only"
In this Industrial Air Scrubber System the scrubbing liquid comes into contact with Exhaust system containing fumes / pollutants / dust particles. 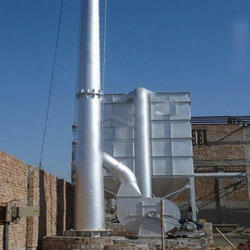 Different design depending upon the nature and application, operation, characteristics of fume / dust. 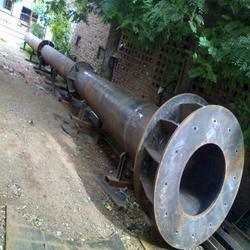 Packed column, static column, venturi type etc are a few types in our range of manufacture. 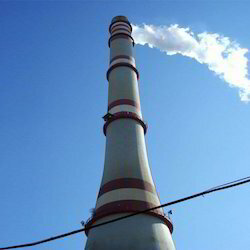 "We are Looking Buyers & Inquiries From South India Only"
we are manufacturing chimneys of ht above 30m. 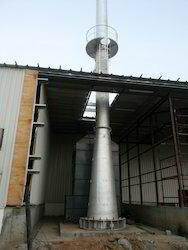 These huge height chimneys are designed for self support & as per wind velocity of each location. pls feel free to contact us for your requirements. Our most valuable clients are ashok leyland, ytamaha ltd, samsung ltd and ennore foundries etc. 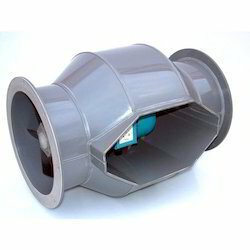 we are manufacturing m.s ducting & gi ducting as per customer requirements. pls feel free to contact us for your requirements. • Durability "We are Looking Buyers & Inquiries From South India Only"
Looking for Environmental Control Systems ?